A R Murugadoss has made two Bollywood movies before the recently released, Akira- Ghajini and Holiday. I have liked both of those movies and I can watch them as many time as possible. Both the films were little dark but yet interesting and entertaining. Both of them also carried a little seriousness with them. The same has been tried with Akira but the movie couldn't match up with the excellence of the first two movies by the director. Akira is the movie basically about the women empowerment where Sonakshi Sinhas character Akira is more interested in Karathe than dancing since 11 years of age. She sees a man throwing acid on the face of a girl which enforces her to take revenge and she throws acid on the face of that man. As an audience, the scene really makes you clap. But the very next moment, she is been sent to remand for next 3 years. After she returns back, she tries not to get into the matters which might turn her violent again. This triggers the nastiness of a group in her college. They start bullying her until one day she finally hits them and they realize what a girl she is. She becomes popular in her college. On the other hand, a cop played by Anurag Kashyap is doing everything that a policeman shouldn't. He is the bad guy in the movie. And one day, both the characters cross each other's way and the movie begins. Akira is the movie which shows you its big wings initially and in between of the movie. But every time the character is about to fly, the script cuts the wing and Sonakshi Sinha again becomes helpless. This is the biggest disappointment because of which you wont say its one of the movies that can make you feel strong or motivated which director wants you to feel. 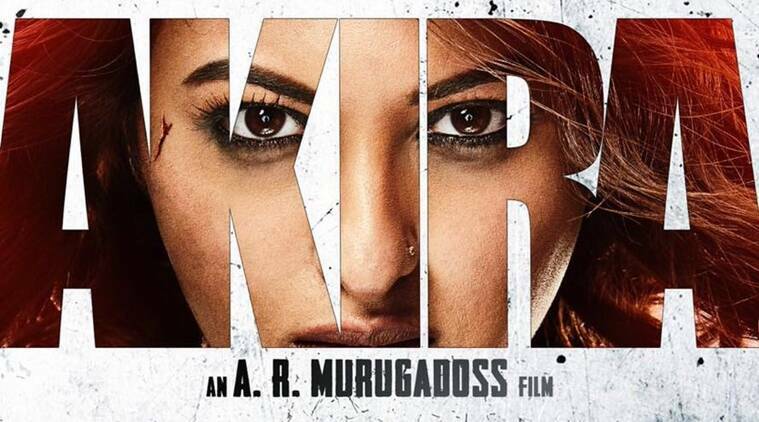 Sonakshi Sinha have given a good performance but the script haven't done justice with her. Anurag Kashyap is the surprise package in the movie who doesn't disappoint you even in a single scene. The movie is not wholly action-based but whatever action has been included is nicely projected on the screen and looks real. I will give this movie 2.5 stars out of 5.